Oops, I guess I kind of disappeared there didn’t I? I was off enjoying friends and family in Eastern Canada and having so much fun that I never got around to putting up any blog posts like I’d intended. Oh well! Before I left for my trip I realized I didn’t have a single pair of jeans with an intact crotch. I’ve worn a hole in every. single. pair. 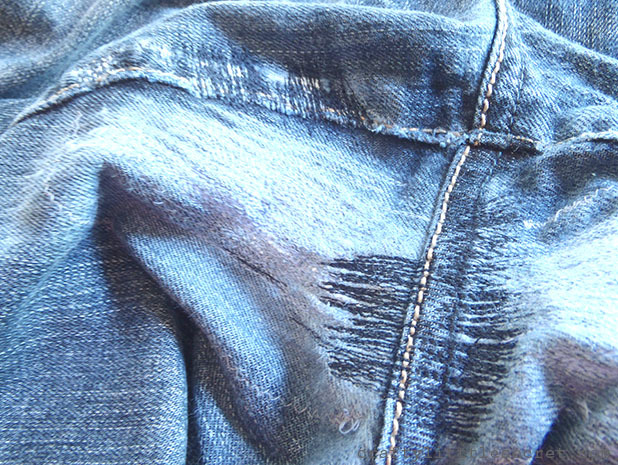 So I thought I’d share a link to a great tutorial for how to mend torn/worn jeans by Suzzanah over at Create/Enjoy. The only thing I would stress is that I found I need to extend my stitching well beyond the actual tear or it will quickly rip again because the area around the actual hole is usually very worn as well and can’t handle much pull or pressure. 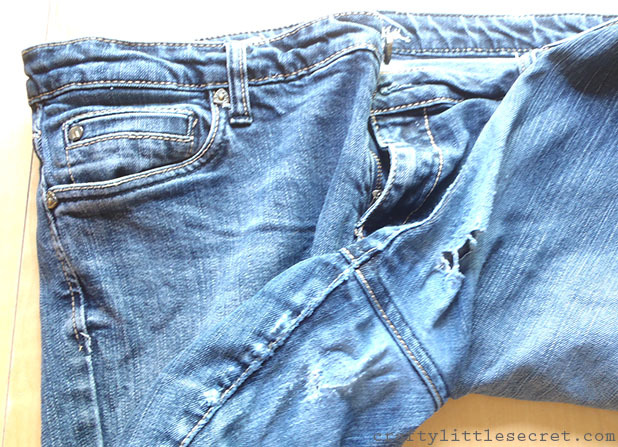 So check out Suzannah’s tutorial and save your favorite jeans! I’ll be back later this week with my own tutorial showing you how to sew a BBQ apron. This entry was posted in Uncategorized on August 20, 2014 by missphd. Perfect timing on this! Thanks! I just tore holes in the crotch of my two favorite pairs of jeans. This will SOOO come in handy!